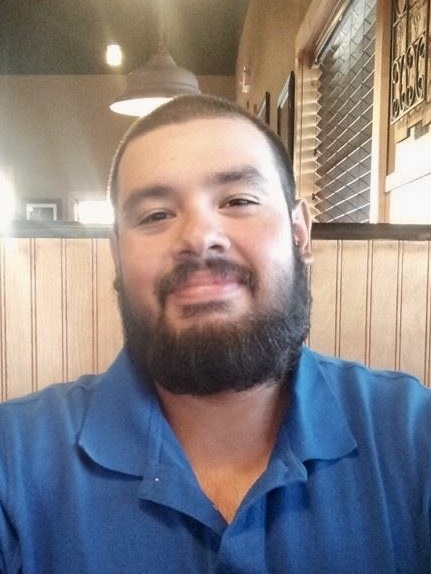 Miguel Costilla Jr., 26, passed away on Monday, March 25, 2019 in Cotulla, Texas. Mr. Costilla is preceded in death by his father Miguel Costilla Sr.; brother, David E. Costilla; maternal grandfather, Matias Aviles; paternal grandparents, Secundino and Aurora Costilla. Left to cherish his memory is his wife Stephanie Elizondo; mother, Juana M. Costilla; brother, Hugo (Mary Alice) De La Rosa. He is also survived by cousins, aunts, uncles, other relatives and friends. A prayer service will be held on Thursday, March 28, 2019 at 7:00 p.m. at Gamez & Sons Funeral and Cremation Services. Visitation will be held from 5:00 p.m. to 9:00 p.m.
A funeral service will be held on Friday, March 29, 2019 from 8:00 a.m. to 11:00 a.m. at Gamez & Sons Funeral and Cremation Services. Interment will follow immediately after to the City of Laredo Cemetery.